Lindsey Jensen teaches a poetry lesson. Fresh out of college, Lindsey Jensen faced an unforgiving job market in 2006. To make ends meet, the speech communication graduate accepted a position as a teacher’s aide in a behavioral disorder classroom. The move was supposed to serve as a stopgap until she landed a full-time gig at a public relations firm. As fate would have it, the decision unlocked Jensen’s true passion. She’s now in her 10th year as a high school English teacher and is on track to finish up a doctorate in teaching and learning from Illinois State University in 2019. Lindsey Jensen being recognized at center court during #TeacherNight at the Redbird men’s basketball game in February 2018. After a year as an aide, the Southern Illinois native earned her master’s degree in secondary education at Oakland City College in Indiana. She was hired by Dwight Township High School in 2008, where she teaches advanced placement English, Shakespeare, American literature, drama, and composition. On October 28, 2017, Jensen was named the 2018 Illinois Teacher of the Year at the Those Who Excel ceremony in Normal. The annual event is sponsored by the Illinois State Board of Education and recognizes the state’s top educators. 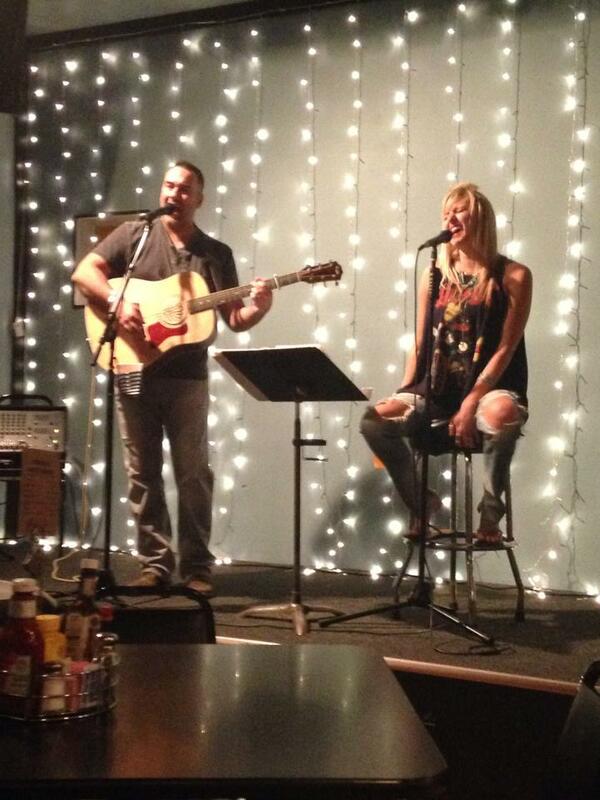 Lindsey Jensen performing in her band. “Lindsey has always been a rock star as far as curriculum and what she presents to the kids,” said fellow Redbird Jackie Froelich ’88, who served as Jensen’s mentor teacher when she started at Dwight. Jensen officially took over as state teacher of the year on January 1. So far, she has participated in workshops with other state winners, and in state and national speaking engagements. In April she took a trip to the White House. In February, she met the other state winners for the first time at a four-day workshop at Google’s headquarters in Mountain View, California. “The people and programming made that time the most meaningful professional development of my life, so far,” she said. 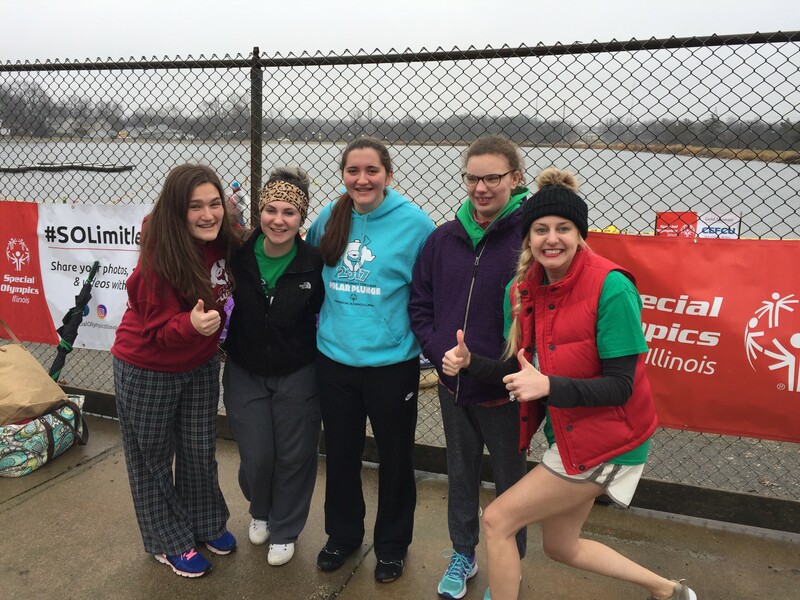 Lindsey Jensen supports Special Olympics Illinois by organizing groups to participate in the Polar Plunge that took place in Bloomington in February. Jensen’s nomination for the state’s top teaching award was sent in by her town’s police chief. 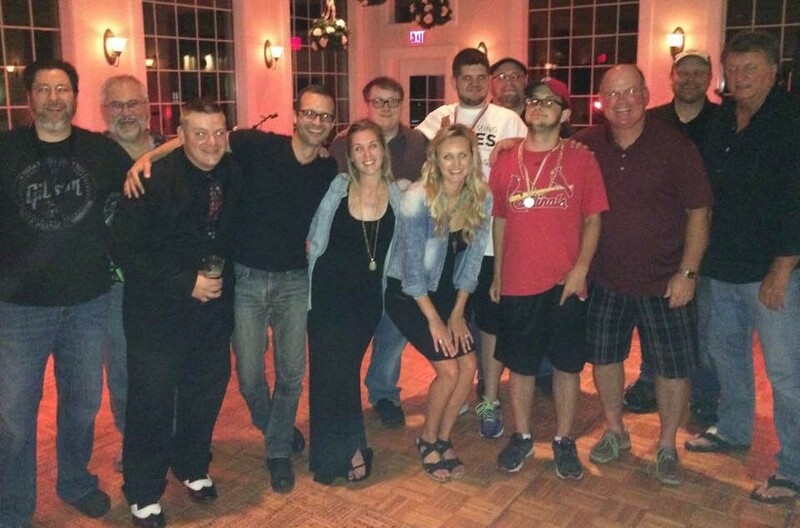 In 2016, the duo collaborated to raise a large sum for the Special Olympics Illinois through the Polar Plunge and a music festival in Dwight. 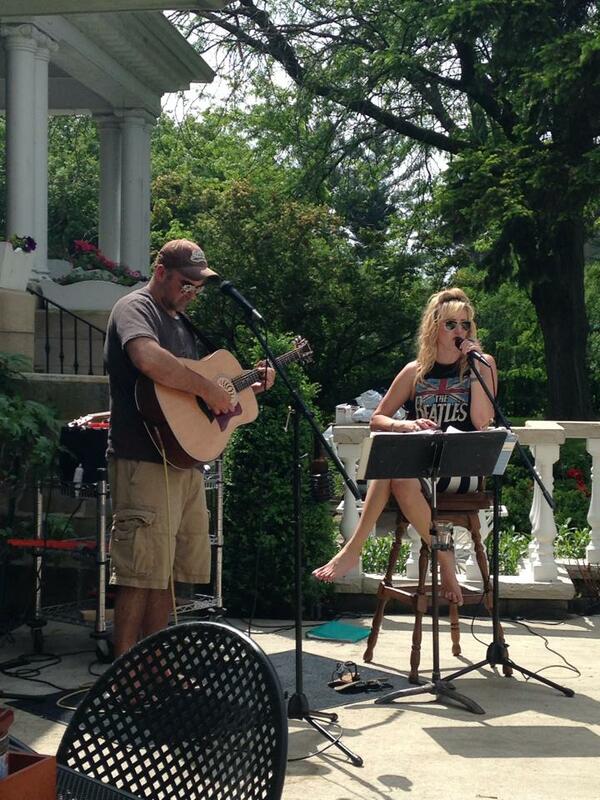 Jensen, a musician herself, performed and recruited 15 others to donate their talents. 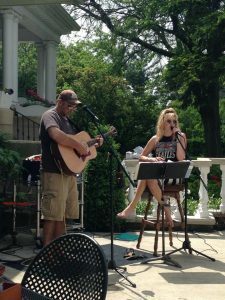 “I am not shy, so and I try to capitalize on my connections with the music community to raise money for things that I care about,” she said. From cancer research to educational initiatives, Jensen is always eager to lend her golden pipes to a good cause. The educator also plays the piano and ukulele, and she has obliged past students’ requests to sing in their weddings. 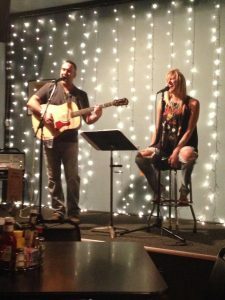 She similarly infuses her passion for music into her classroom. 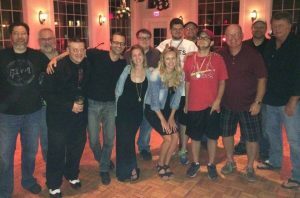 Lindsey Jensen organized a large group of musicians to perform for free at a music festival in Dwight with proceeds benefiting Special Olympics Illinois. Jensen has served as the school’s theater director and organizes and performs in the annual talent show. She also spearheads after-hours get-togethers for faculty and staff, like bowling night. Froelich, who now serves as Dwight’s guidance counselor, said her former mentee’s impact on the school’s culture is immeasurable. 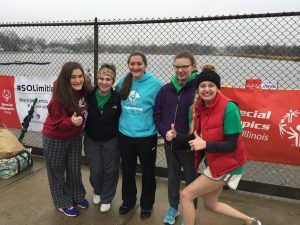 “She has such a respect for her colleagues, and these activities are in the spirit of trying to get everybody together and develop relationships,” Froehlich said. When Jensen participates in professional development outside of the school, she always presents the best practices back to Dwight. Lindsey Jensen performs in her band. Before earning teacher of the year honors, Jensen’s most humbling moment was being asked to serve on the executive board and as the chief negotiator for the Dwight Education Association teachers union. Hurd, and Erin Mikulec,” she said. Jensen’s research is examining the gendered portrayal of technology in new dystopian young adult fiction like The Maze Runner. “Like all reflective doctoral students, she struggled to determine her topic. But in the end, we narrowed it down by combining her passions of literature and educational equality,” said Associate Professor Robyn Seglem, her dissertation chair. Jensen said the goal of the research is to demonstrate how girls are empowered or disempowered by the messages they are reading daily. She also wants to know what the similarities or differences are for boys. “These popular forms of literature are shaping their views, and potentially discouraging females from entering STEM professions,” Jensen said. In a fast-filling calendar, Jensen is slated to speak at multiple state and national conferences throughout the year. One of her goals is to share her love for teaching with as many people as possible.